Wanderlodge is Matt Cadenelli & Kris Stuart. Matt Cadenelli is a longtime Portland musician and member of such bands as The Don of Division Street, Fernando, Brothers & Sister, Dr. Theopolis, Portland Country Underground, and others. Weaving together musical styles from Wilco to Nick Lowe to The Kinks to Neil Young, his sounds feature song-centric, melodious vistas aligned with insightful lyrical musings. 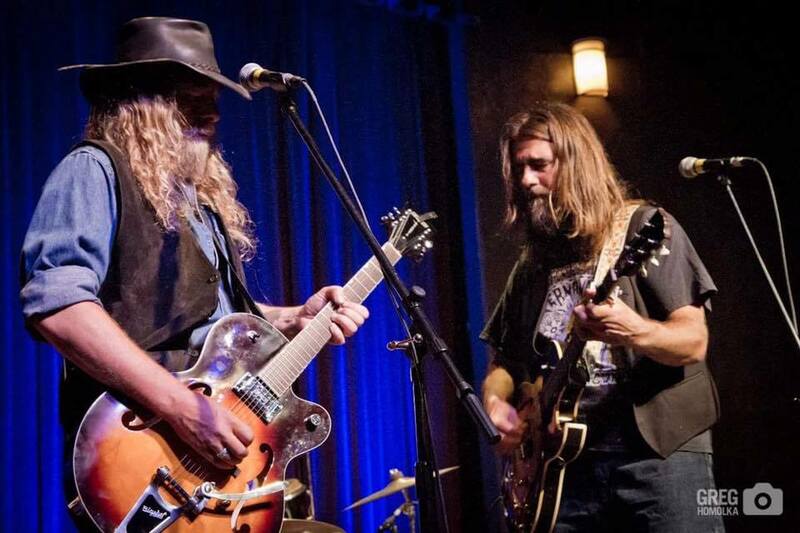 Kris Stuart has led the local power blues rock trio Rootjack in the NW stages for many years. A fierce electric slide/lead guitar player and gritty, soulful vocalist, his songs bring story and wisdom accessible by all audiences. Also a member of new local fave rock and roll country band, The Deadstring Family Band and Allman Brothers tribute band Brothers & Sister.